This is the complete english version which includes all 30 sections of the Quran as well as the inline commentary and introduction to the Quran. 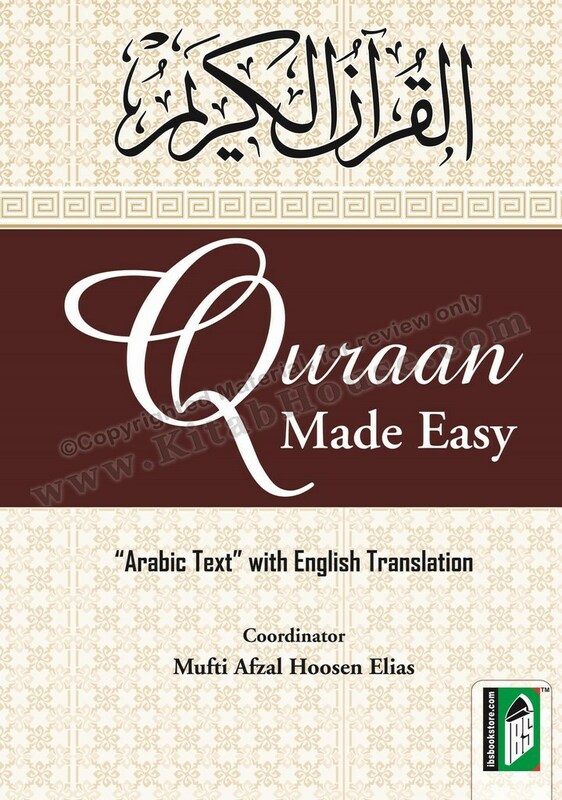 5.2" x 7.2" x 1.2"
Quran Made Easy is a modern, easy to understand english translation of the Holy Quran with inline commentary. This is the only english language translation that includes translation and inline commentary next to the Arabic verses. The language is simple and easy to understand and unlike other translations leaves no room for ambiguity and misunderstanding. The work is a recent project and does not use "old" english or difficult to understand words. 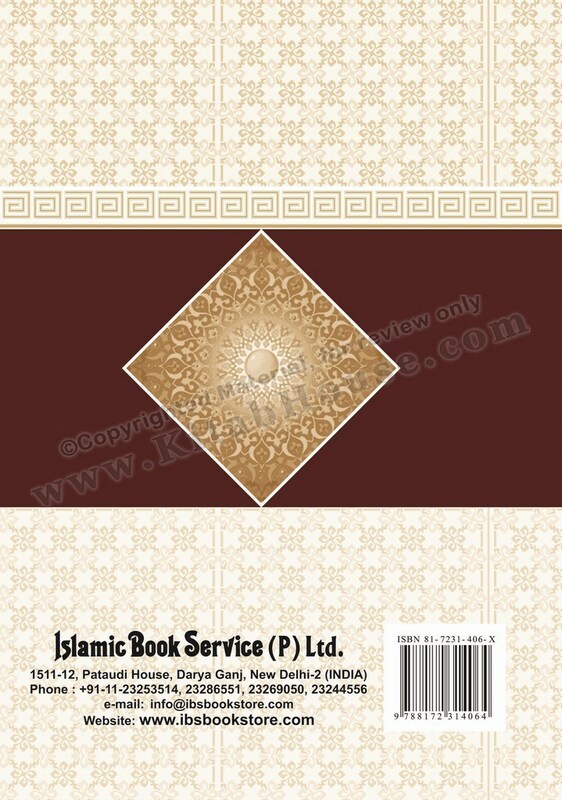 Also contains an Introduction to the Qur'an, revelation, authority of the Qur'an, compilation of the Qur'an, etiquettes of reading and reciting the Qur'an, a glossary of terms and names and the science of Tafsir. Moulana Ismail Ebrahim did the Major Translating, Mufti Elias added further explanatory notes within brackets from well known Classical as well as later tafsir. Ismail Kathrada edited the language without changing the meaning. Commonly known Arabic words such as Rabb, Kuffar and names are not translated as these are second nature to most Muslims, however there is a glossary in the beginning, for those new to Islam. A very informative read and makes understanding the Qur'an much easier, In'sha-Allah. In preparing this translation of The Quraan, the dilemma was whether to use very ornate and elegant language which could compromise clear understanding for most people or to use a simple and clear style of language. Because the intention was to make The Quraan clear to every person, the second style was chosen, even though it may at times lack the dignity and lofty tone. It was also chosen because thousands of English-speaking people who are not very proficient in the language found the lofty language of other translations difficult to understand. This translation caters for their needs by providing where necessary synonyms between brackets. It is the language of only the Divine that can combine exceptional eloquence and ease of understanding. Unlike in previous translations, footnotes are not used in this translation. Rather the explanations which have been given between brackets, serve multiple purposes. Firstly, they save the reader the need to look for the corresponding footnote which often hampers one's train of thought and understanding. Secondly, the explanations enhance the meaning of a verse by adding text which is often hidden. This is especially necessary in a translation of the Quraan because the Arabic text is extremely compact and rich in meaning, and to render the same meaning in another language requires the use of many more words. Also, by using words between brackets, the essential text of The Quraan is not confused with the additional words that are required to promote understanding. "Excellent translation, the commentary makes it easy to understand without having to search for references and footnotes. In some ways it is a mini-tafseer for someone who does not have the time to read a full tafseer". "I cant tell you how pleased I am. There is a straight to the point explanation for every verse. I am an English speaker. I only know a little Arabic. I usually memorize verses in Arabic and go to the English translation. Since Arabic is such a different and ancient and beautiful language, there is always something lost in translation. This Quran translation does a wonderful job for English speakers. May Allah greatly reward everyone behind this book. And I hope we all use it for the benefit of the hereafter."